In an era where globalisation is cutting a swathe across everything, including culture, uniqueness is a scarce commodity these days, both in life and indeed in music. 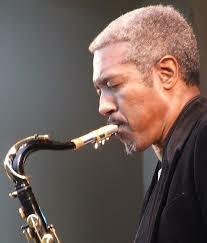 Billy Harper is one of those unique treasures, a sui generis master who is not even close to getting the type of recognition he deserves. He has that quality of uniqueness and genuine individuality which is at a premium in contemporary jazz. Like all great tenor players before him, he can play just one or two notes and you know it's him. Harper is from Texas and he has the sound that defines the Texas tenor. Listen to Arnett Cobb and especially Booker Ervin and you will hear the classic sound of Harper's antecedents, a dark, powerful wail, the signature tenor sound of a sonic tradition for which he has been a flag bearer for more than fifty years. In addition to his sound, Harper is a saxophonist of formidable power and technique, and one who plays with the kind of intensity only found in players of the generation who came to the fore in the late 60s, and were around New York when the post-Coltrane ferocity was at its height. But another thing I love about Harper's playing is the soulfulness and indeed spirituality of it. There's a powerful cry in all his playing and he writes extremely direct and grooving pieces, perfect vehicles for his blend of power and passionate forward motion. One of my favourite Harper albums, one I bought on LP as a Japanese import many years ago, and long unavailable, is 'Soran Bushi', and here he is on the opening track "Trying To Get Ready" where, after the typical Harper declamatory melody, he hurtles into a ferocious solo, riding the crest of the waves created by TWO great drummers - Horacee Arnold and Billy Hart. Check out the 2nd solo where he takes on both drummers single-handedly, and wins! He is indeed amazing. My favorites are Live in the Far East Tour. Live is always best. let me know if you want some live BH off European radio etc... I'll upload and send you a link.